Bob Kleinheksel, LMSW, is a Licensed Clinical Social Worker and therapist. He specializes in couple therapy and relationship/communication enhancement and is honored to engage with all couples - including those in the LBGTQ community. He has and brings particular experience, passion and sensitivity to LBGTQ couples and individuals and the unique issues they may face. Bob also has particular training in personality disorders and seeks to help people understand, how to cope with and manage one's own and others' particular personality issues and styles. He brings expertise in conducting full psychological reports and profiles and works with individuals and their physicians and school staff in discerning particular needs such as medications and other interventions. Bob has been trained in the William Bridges model of transition and brings expertise in recognizing and managing life's changes, losses and challenges -including relationships, divorce, grief over ones loved and lost and loss of health or mobility. He has facilitated divorce recovery and life/relationship transitions groups over the years. If or as meaningful for clients, he has and brings particular expertise to matters around religious beliefs and the broader and spectacular arena of spirituality and all this may entail. Bob provides group facilitation and one on one services to the Medical Weight Loss Program at North Ottawa Community Hospital. He brings expertise to matters of food and sugar addiction, mental health issues, emotional eating and other themes related to sustainable weight loss, weight maintenance and health. At Start and Associates, he brings care and sensitivity to those struggling with weight loss and those attempting to create various changes in their lives. Bob brings a combination of client-centered, positive and humanistic-focused therapy to those he encounters. He brings expertise in Cognitive Behavioral Therapy (CBT), Dialectical Behavioral Therapy (DBT), Rational Emotive Behavioral Therapy (REBT) as well as Internal Family Systems (IFS) and parts work. He also brings a passion for the elderly community and is able to provide counseling services off-site at homes or area care facilities. Bob spent a brief time as a U.S. Naval chaplain, particularly with the U.S. Marine Corps and is very sensitive to the issues military personnel and family members may experience. 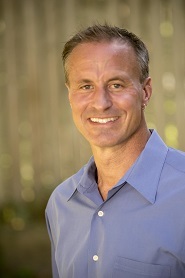 He is a father of three children and has particular interest in family systems, healthy family functioning and communicating, boundaries work, parenting techniques and behavioral modification. Bob is also honored to officiate at weddings and ceremonies of any kind including child dedications/baptisms/celebrations, re-affirmations of vows and memorial/end of life gatherings in all settings. He has been in the helping profession for 30 years and continues to be enlivened, stimulated and challenged with the vast scope of human conditions and possibilities for growth. He believes in and promotes what can be achieved and works to encourage the better and beautiful places, attitudes, relationships, realities and possibilities. Through it all, he hopes to engage honestly, humanly and openly - so as to get to the real. To consider all sources of wisdom, information, interventions and resources in order to journey and partner toward new growth and transformation.